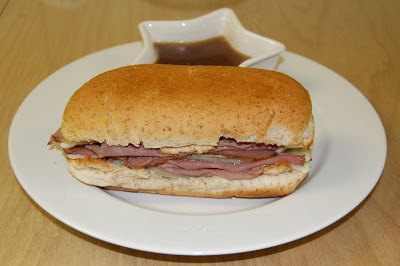 I made this yummy french dip sandwich last week. place a buttered hoagie bun on a cookie sheet and bake in the oven for about 4-5 minutes at 400 degrees. Once the bread is crispy lay some provolone cheese on both sides of the bun. 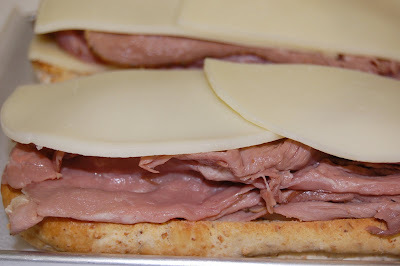 Layer roast beef to desired thickness. 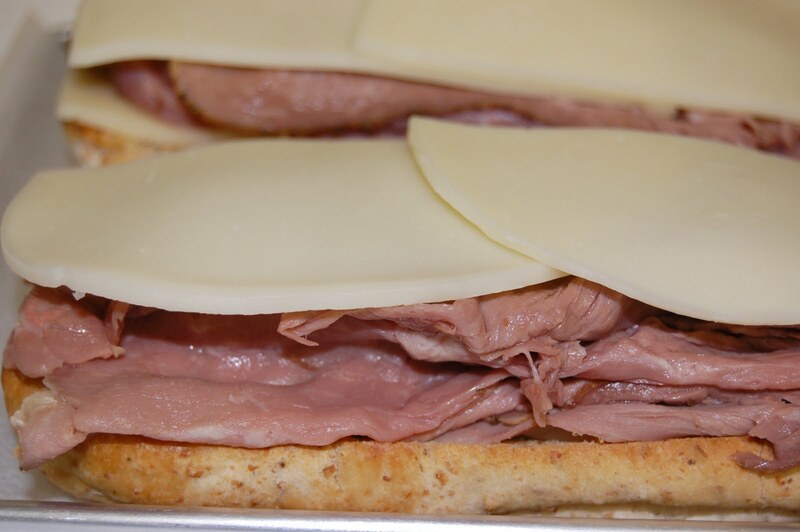 Top it off with more provolone cheese. Cook in oven at 400 degrees for 4-5 minutes or until cheese is melted. 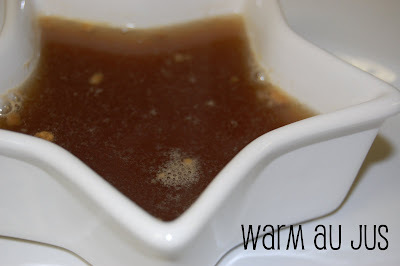 Heat Au Jus in a small pot, stir in 1/ teaspoon Shirley J Onion Seasoning Mix and let simmer for 5 minutes. Pour Au Jus in a small dish and serve with sandwich. 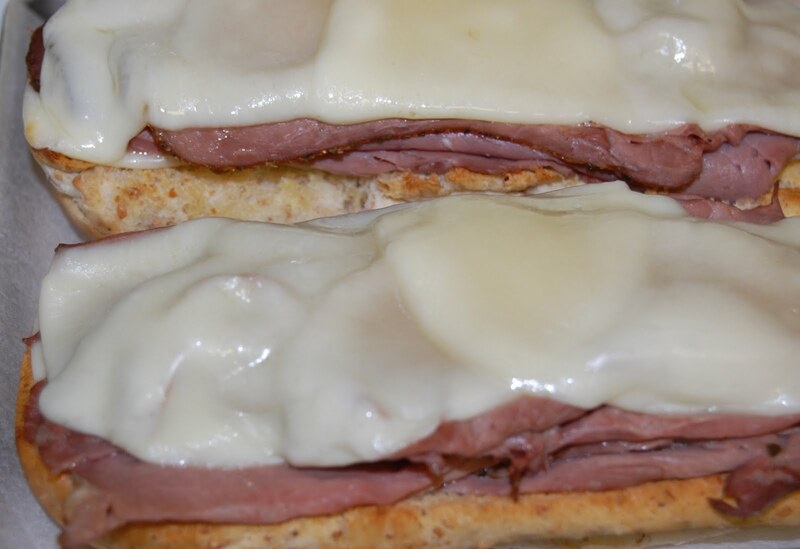 You can find a similar recipe from Shirley J here. 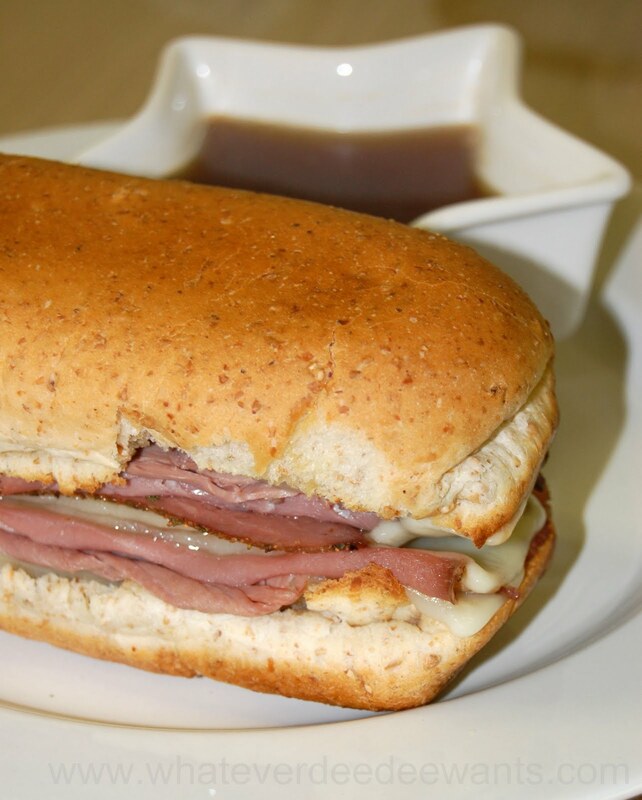 I make these as well, but I put my thin sliced Italian Roast beef in the au jus juice and let it simmer for about 20 minutes. Then I add that to my melted provolone on a toasted deli bun. Try it-you'll like it!